Providing guidance on how to grow and lead more stimulated lives, this work describes six models of adult learning and gives 25 methods by which adults learn. 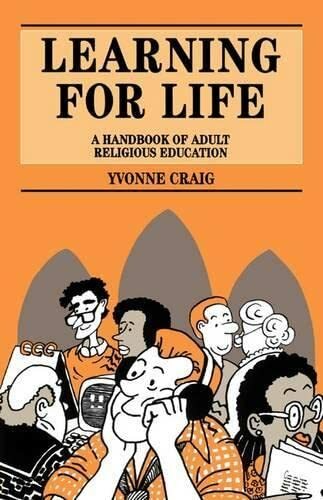 The book provides advice on planning religious educational events, and sets out the pros and cons of assessment and accreditation. This is the age of adult education in all fields of life. Often people's understanding of things such as computers, or their work, far outstrips their understanding of their faith. In this situation we need all the skills we can draw upon to help people in their local churches and parished learn and grow. This book: -describes six different models of adult learning -lists factors which help adults to learn -links your experience as a learner with your strengths as an educator -lists 25 methods which may be used -gives guideance on planning educational events -sets out the pros and cons of assessment and accreditation -describes nine real-life events and reviews their value Yvonne Craig was formerly Tutor in Human Sciences at Wesley College, Bristol and is now national Adult Education Advisor to the Church of England. She has been married to a parish priest for 34 years and lives in London.